Understanding variability in daily behavior is one of the most important missions in travelbehavior modeling. In traditional method, in order to find the differences, respondents were asked to list the used multiday paths. The quality of results is sensitive to the accuracy of respondents’ memories. However, few empirical studies of revealed route characteristics, chosen by the travelers day-to-day, have been reported in the literature. In this study, accurate Global Position Systems (GPS) and Geographic Information System (GIS) data were employed to reveal multiday routes people used, to study multiday route choice behavior for the same origin-destination (OD) trips. Travelers are classified into three kinds based on their route types. A two-stage route choice process is proposed. 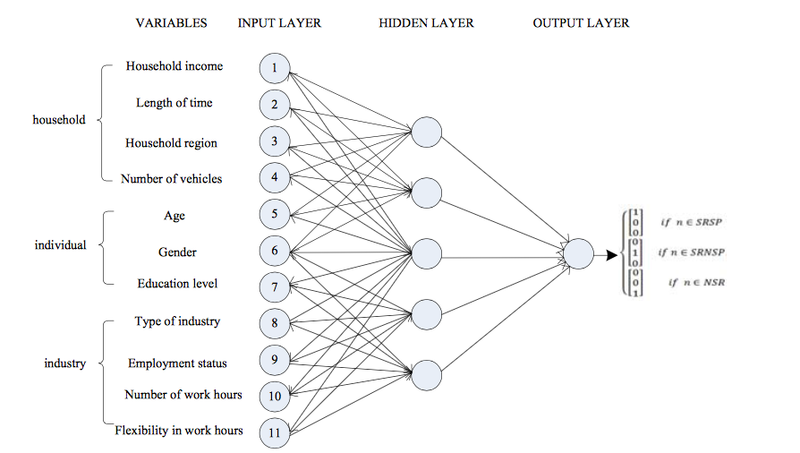 After analyzing the characteristics of different types of travelers, a neural network was adopted to classify travelers and model route choice behavior. An empirical study using GPS data collected in Minneapolis-St. Paul metropolitan area was carried out in the following part. It finds that most travelers follow the same route during commute trips on successive days. The results indicate that neural network framework can classify travelers and model route choice well.